The manor itself sits on the corner of Winchester Road and New Market Road. It's over 100 years old and is on the National Register of Historic Places. It used to be owned by the Rogers family and from what we've been told, the son of the family moved to Texas and became the mayor or Dallas. There are old letters hung on the wall where he wrote home to his family while in Texas. 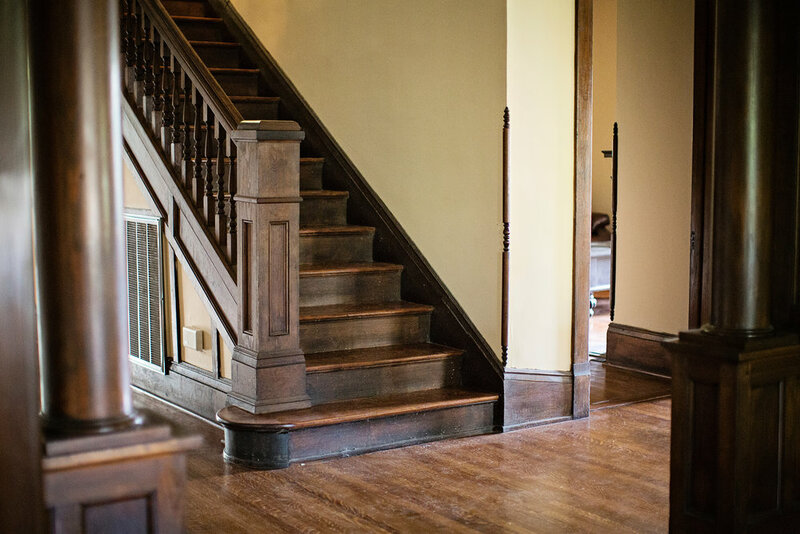 The home has 4 antique fireplaces, old pine floors and beautiful stained glass windows. While we don't rent out the home nightly, we do rent it by the hour for photo shoots. Please let us know if you would like more information about the home and availability.